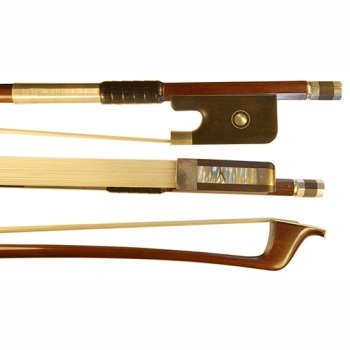 This pernambuco cello bow has quick response with almost no string noise, allowing the tone of your cello to really shine through. The winding on the pernambuco stick is silver, and has a leather grip. The ebony frog is silver mounted, and has a mother of pearl slide and Parisian eyes.